Nowadays, almost everything you need can be found with one tap on your smartphone. And in a place like Korea, which has one of the fastest internet speeds in the world, information can literally be delivered to you faster than the speed of light. So when you’re traveling in Korea and in need of a suggestion on where to eat, the logical answer is to pull out your phone and do a quick search. But even so, it still pays to know how to find good restaurants in Korea since some of these are not available online. If you are wondering how you’ll be able to spot a good Korean restaurant, here are some of our tips. 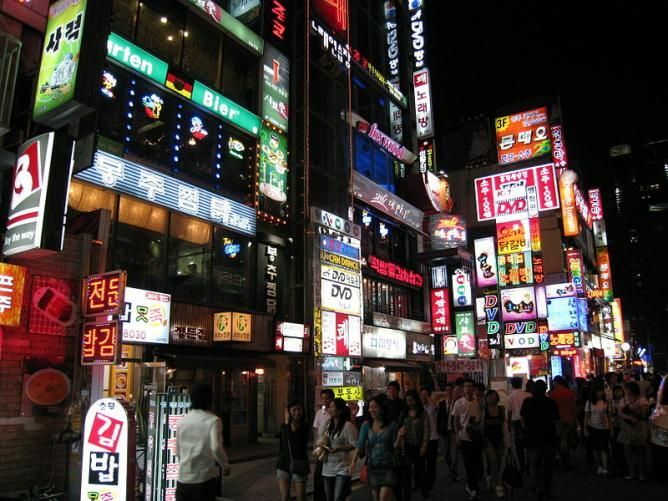 Before your big trip to Korea, make it a point to research on which restaurants you should include in your itinerary. If you are confused with the sheer volume of suggestions, you can check out the Korea Tourism Organization (KTO) website for suggestions on where you should be eating in Korea. Since the website offers information multiple languages, you’ll find it a lot helpful. We also suggest checking out Facebook pages and Instagram accounts that are dedicated in posting the famous/trendy restaurants and cafe in Korea. You can also check out our Facebook page and Instagram posts as we share the places we definitely recommend! While you’re exploring Korea, you may come across a secluded street that’s not part of your itinerary. Don’t panic. You may be in for a treat! Try to look for small and old restaurants that are full of customers. The fact that many are eating in that restaurant can be a useful guide to indicate there’s something special about that place. When dining in one of these hole-in-the-wall restaurants, you may be disappointed to discover that they can no longer accommodate you. You’ll find that this is common among small restaurants as opposed to the really big establishments. This is because the chef is a real human being that can only serve a limited number of meals per day. There are some clues that can help you determine whether or not that restaurant is a good one. For example, try to look around your surroundings before entering the restaurant. If the parking lot is filled with cars and there is a long queue of locals waiting for their turn to dine in the restaurant, it could be a clear indication that they serve really good food. A good tip to remember is that Koreans usually eat their lunch between 11:30 – 13:30 and dinner between 18:30 – 20:30. If you happen upon a place filled with a long queue, try to arrive at an earlier time on another day. Another way you can find a good restaurant in Korea is to check for any credentials that the establishment has received from different forms of media. These credentials are awarded to the restaurant as a way of recognizing their success in the culinary arts. Among the many restaurant guides available, the Blue Ribbon Survey is the most reputable and very first one in existence. Restaurants that have been listed in the guide are based according to popular votes and the opinion of professional food critics. Anyone can cast their vote on their favorite restaurants before the reviewers look at each one. What makes Blue Ribbon Survey so credible is because they don’t accept advertising from any establishment they feature on the guide. Top 3 Chef King is Korea’s most popular TV show on SBS channel. It is hosted by one of the most famous chefs and entrepreneur, Baek Jong Won, who owns a total of 26 restaurant franchises throughout the country. But despite his credentials, Mr. Baek prides himself on having average tastebuds; which is why they love to feature quality restaurants at an affordable price. Restaurants that have been featured and obtained a high mark on the TV show are known to expect a high queue for a month after the episode was aired. Another TV program that features local restaurants is Tasty Road under ‘O’live cable channel. Compared to the other guides, Tasty Road usually looks at establishments situated in one neighborhood every week. As a result, the guide ends up featuring restaurants that do well in that area as well as the new establishments. Even though the guide is still considered helpful, many local foodies believe it has lost its confidence. New tv program from JTBC will also be a good reference. The concept of the show is that they aim to be the very first customer to try or eat at the famous restaurant. They stayed up late just to be the first on the line. They usually go to restaurants or attractions that are most talked about on blogs, social networking sites and even locals. In the photo above seen on Episode 16, they went to Jeju Island to try all the popular restuarants. They went to the place where they specialized on rice topped octopus with guest, BoA. We also suggest you try checking out Youtube vloggers that are Koreans. They just know which restaurants to check out. Don’t worry, there are vloggers with Korean contents while speaking in English. They also usually place the address of the recommended place on the description box of the video. In Korea, there is a thing called 기사식당 (Gi-sa-sik-dang), which refers to a restaurant as one for taxi drivers. These restaurants usually have garnered a good reputation in its neighborhood thanks to its delicious dishes at an affordable price. The reason why these establishments are targeted towards taxi drivers is because these individuals do not have much time to enjoy a decent meal. Because of this, the food served in these restaurants are cooked quickly. Since these establishments are not allowed to sell alcohol, they are able to focus on the quality of food they prepare. If they poorly prepared the food, they will lose customers since the drivers won’t drive to their location anymore and will prefer another establishment. If you chance upon one of the Gisa-sikdang establishments in Korea and see that it is full, it is a clear indication that it is a good restaurant in Korea. Apart from enjoying an inexpensive meal, you also get to experience an everyday meal that locals eat. You can also check out the food sold in traditional markets. 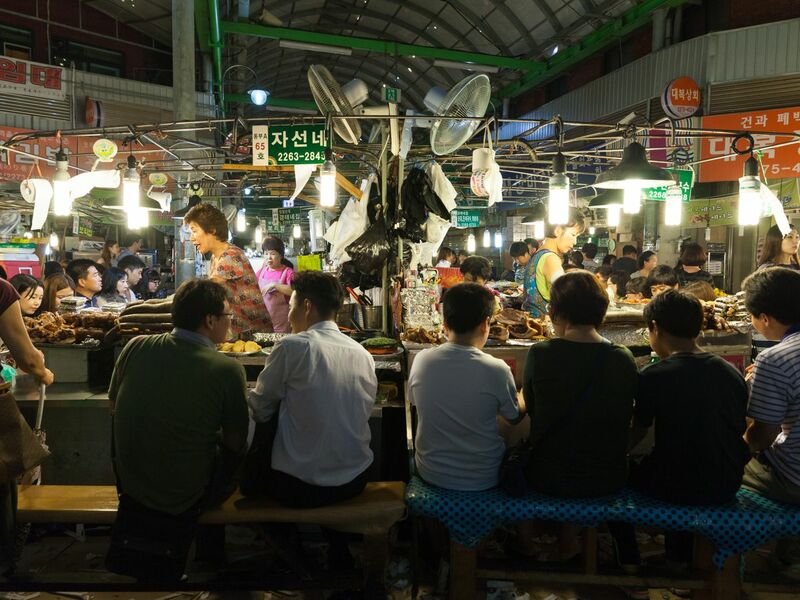 You’ll be able to find one of the locals’ favorite street food vendors in these places. This is an excellent way for you to taste authentic local food. 7. Tip #7: When in Doubt, Ask! Finally, you should never hesitate to ask the locals for their recommendations. If you are riding a taxi, you can ask the driver for his recommendation since he has most likely eaten in that restaurant too. You can also ask a staff member of the hotel or guest house where you are staying in. They’re likely to be asked this question by other guests so they already know what to recommend. There are some restaurants that entice tourists to dine in their establishment by handing out flyers or by hollering at passersby. If you happen to be in a similar scenario, avoid eye contact and skip the establishment. If the food is really good in that restaurant, they do not have to go through such attempts to invite diners. Instead, people will naturally line up for the restaurant. When you dine in such establishments, you’ll likely end up disappointed with the food you chose to eat. This is because the people who frequent these restaurants are diners. For the restaurant’s part, they don’t really care about their reputation as long as they earn a lot of money from those who are simply passing by. If you don’t have a choice, you can eat in these restaurants but don’t expect quality dishes similar to the good restaurants in Korea. Koreans believe that a restaurant that has too many options can play a negative role on the satisfaction of each customer. This is because when a restaurant offers more options, the more opportunity costs. In turn, this means that the chef does not specialize in one cuisine. Instead of eating in a restaurant with a huge menu selection, look for one that specializes in just a few items. This is one way Koreans know they are getting a good meal. If you happen to eat at the restaurant during peak hours and you discover the area to be deserted, it could only mean one thing: the locals are not too fond of it. You might want to take cue from the locals here. A new restaurant is unable to entice locals to dine in their establishment since they have not yet met their expectations. One way restaurateurs try to win over customers is by decorating their establishment with pretty interior. In doing so, they get to invite those who are curious about the new place. While there are some new restaurants that are worth checking out, it is best that you stick with an option that the locals will truly and honestly recommend to you.